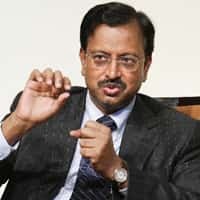 Washington: As mark of a positive effort at boosting representation of India’s IT sector in US, Ramalinga Raju, chairman Satyam Computer Services, has been appointed to co-chair the Washington-based US-India Business Alliance (USIBA) starting 1 October 2007. Raju is expected to lend his considerable experience and insight in the software services industry to further USIBA’s advocacy, especially for those US and Indian companies interested in bilateral IT trade. “The global economy is undergoing a remarkable transformation: around the world, new sorces of world-class talent are coming online everyday. At the same time, these locations represent new, rapidly-expanding markets for products and services. India stands at the centre of this transformation today, significantly shaping the world’s new economic order," said Raju on the occasion, adding that he was delighted to be associated with USIBA. Expressing his confidence in Raju, Sanjay Puri, chairman of USIBA, said “his inputs will help us identify and understand the issues facing the Indian IT industry in US." Raju’s position in the organization would also help them convince the Indian IT companies about hte need for them to invest in the local communities in the US, both in terms of employment and local community participation. USIBA is a bilateral trade promotion group commited to maximizing commercial, economic and financial ties between India and US. The organization is co-chaired in India by Salman Khurshid and Arun Shourie, former minister for external affairs and former minister of disinvestment, communications and information technology, respectively.